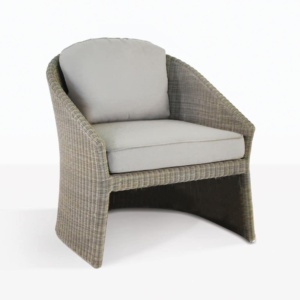 This lounging outdoor wicker armchair will suit any space whether classic or contemporary, inside or out! 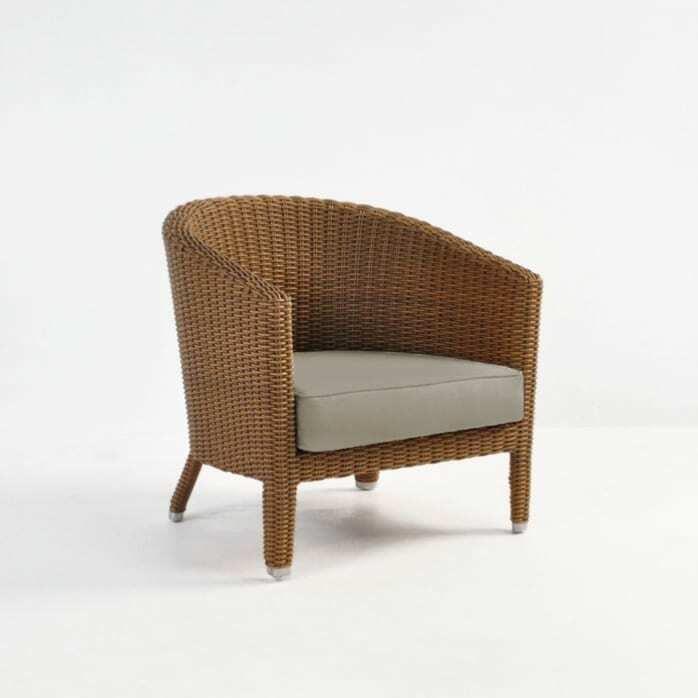 Featuring a delightful curved back and a tub-like seat, with lovely, elegant feet peeking out the bottom; the Vena Chair walks the line between traditional and modern styles, making it an excellent choice for on the front deck, or around a coffee table in the backyard, by the pool or even indoors! If you have a big brick patio, why not purchase four Vena Chairs and place around a Soho Rectangular Coffee Table for a wonderful, welcoming setup that will have you enjoying entertaining outdoors for hours! 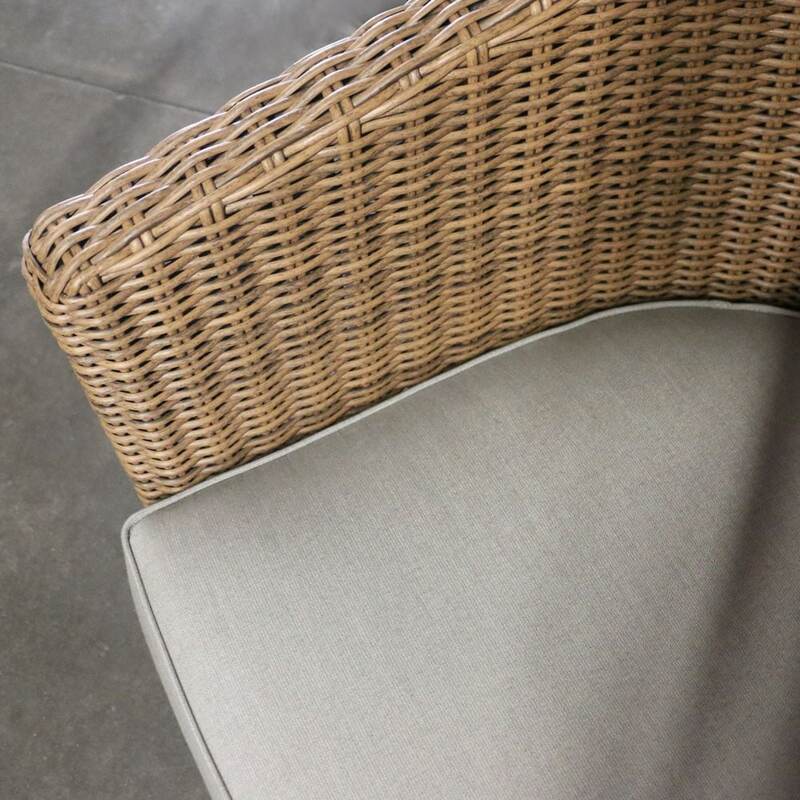 Try this outdoor wicker armchair on a small balcony nestled on either side of a Raw Concrete Chess Stool as a fun and modern alternative to a wooden accent table. The Vena Chair is available in this dusty sand colour to suit many colour combinations. It has that classic wicker look with sleek lines and a low profile for a more modern touch. 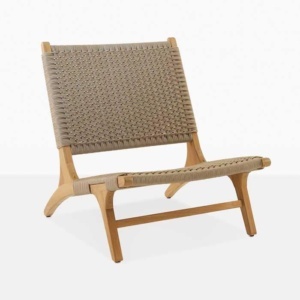 Comfortable without being over sized, light and easy to move… Perfect for backyard patio entertaining. 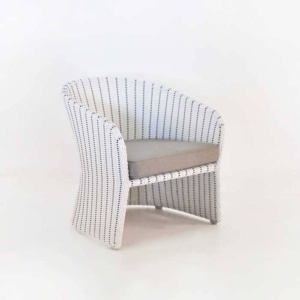 The Vena Chair is constructed from a powder coated aluminium frame and dressed with Viro® outdoor wicker, a through dyed polyethylene synthetic product that has been UV treated so you can be assured that this is a chair that will stand the test of time, keeping you in style and comfort for many years to come! If that weren’t enough, the Vena Chair includes a free Sunbrella® cushion! Feel free to give us a call or visit our showroom! Our sales staff are on hand 7 days a week to help you find the best combination for your outdoor area!